These Injen SP series intake systems feature Injen's patent-pending MR Technology process for optimal gains and a safe air/fuel ratio. The Speed Pro series systems do not limit themselves to just cold air intake or Short Ram systems. 2005, 2006, 2007 Impreza 4 Cyl 2.5RS Tuned cold air intake system w/ MR Tech, Air Fusion and web nano-fiber dry filter. We will not be able to “Gift” the product. Which excludes Hawaii, Alaska, Puerto Rico and the U.S. Virgin Islands. Part Number: SP1202WR. Model(s): WRX Sedan ('02-'07). WRX Wagon ('02-'07). STI Sedan ('04-'07). Finish: Wrinkle Red. Rubber mounts to protect intake from engine vibrations. CNC-Machined and tuned sensor adapter - Applications with MAF or IAT sensor(s) only. 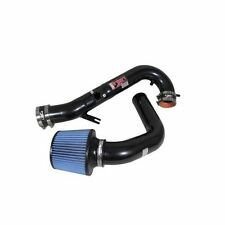 2005 - 2007 Suburu Impreza 4 Cyl 2.5RS Tuned cold air intake system w/ MR Tech, Air Fusion and web nano-fiber dry filter. We want you to be 100% happy with your order. 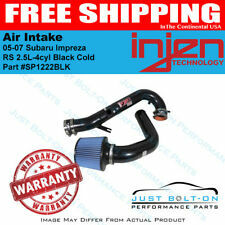 Injen SP Series Polish Cold Air Intake Kit for 2005-2007 Subaru Impreza 2.5i RS. Condition is New. Shipped with USPS Priority Mail. Manufacturer: Injen Technology. 2008, 2009, 2010, 2011, 2012, 2013 Subaru WRX 4 Cyl 2.5L turbo. 2008, 2009, 2010, 2011, 2012, 2013 Subaru Sti 4 Cyl 2.5L turbo. These Intake Systems Feature the Patent Pending MR Technology Process for Optimal Gains and a Safe A/F Ratio. Manufacturer - Injen. Reusable cotton gauze filter can be easily cleaned using Injen's Pro-Tech cleaning kit. Installed photos - courtesy of Injen. 2014 Subaru Impreza WRX/STi (EJ25 2.5L engine). Cold Air Intake System. Part Number: SP1225BLK. Air Intake Filter Material: Synthetic. Filter End Cap Finish: Black. UPC: 843115019716. Filter Color: Blue. Tube Material: Aluminum. Injen Polished Cold Air Intake System. These Intake Systems Feature the Patent Pending MR Technology Process for Optimal Gains and a Safe A/F Ratio. The SP series does not limit itself to just a Cold Air System or Short Ram System. 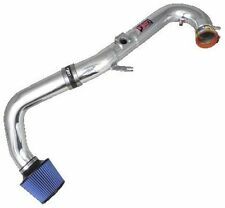 Injen RD series is a cold air intake system for the enthusiast craving mid-range power. The intake tube is strategically placed behind the front bumper to acquire colder denser air. Every Injen RD system is certified or pending by the California Air Resource Board. 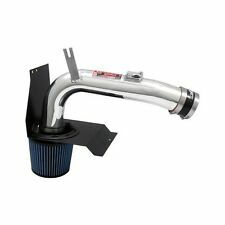 Enjoy this Injen performance cold air intake and filter, designed for use with the specified vehicles, this system allows for high flowing air into your intake manifold while retaining high quality protective filtration. Part Number: IS1200P. Finish: Polished. Length: 36.0". Weight: 4.0 lbs. PART NUMBER - RD1200P. RD Race Division Intake System: The Injen RD series is a cold air intake system for the enthusiast craving mid-range power. The intake tube is strategically placed behind the front bumper to acquire colder, denser air. Manufacturer: Injen Technology| Manufacturers Part Number (MPN): RD1210BLK. These Injen RD series Race Division intake systems are cold air intake systems for the enthusiast craving midrange power. The intake tube is strategically placed behind the front bumper to acquire colder, denser air. Injen Intake Kit. 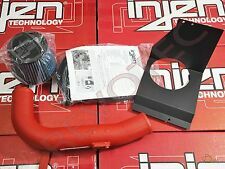 Injen Cold Air Intake System. Injen Truck/SUV Technology. 1998 Subaru Impreza 2.5RS H4/ Subaru Impreza H4. 1999 Subaru Impreza 2.5RS H4/ Subaru Impreza H4. 1998-1999 Subaru Impreza 2.5RS H4 2.5L. 1998, 1999 Impreza 2.5RS H4 2.5L Cold Air Intake System. We will not be able to “Gift” the product. Which excludes Hawaii, Alaska, Puerto Rico and the U.S. Virgin Islands. The Injen SP Series Intake systems Feature the Patent Pending MR Technology Process for Optimal Gains and a safe A/F ratio. 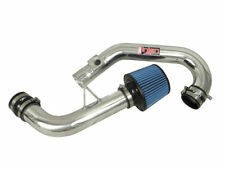 The Injen SP Series Intake is The Worlds First Tuned Intake System. Manufacturer: Injen.